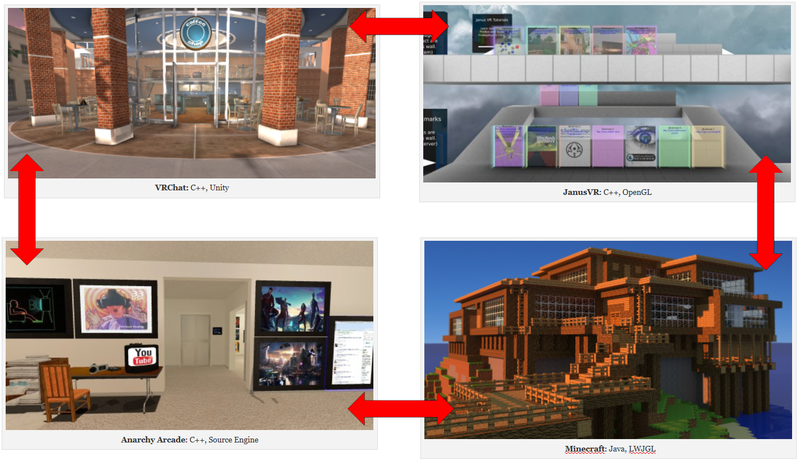 I’ve been invited to participate in an online panel on MUDs, MMORPGs, and the Metaverse which includes Edward Castronova, a professor of telecommunications at Indiana University. He was heavily involved with the early MUDs and virtual world scene, and has written both papers and books about virtual worlds and their economies. As part of my pre-panel research, I brushed up on my own involvement with MUDs during the 1990s. Much of my time was spend in the DikuMUD family tree, and mostly with ROM, the Rivers of Mud variant. The image above represents the most obvious model for selling all types of real-world products in a virtual environment. Sad, isn’t it? We’ve taken the worst features of the real world and combined them with the worst features of virtual reality. If we’re selling video games in this manner, then we’ve failed to realize the potential of virtual reality. So how about ReadWrite’s old question above, “are virtual shopping malls making a comeback?” I can only hope not. At least, not in this form.